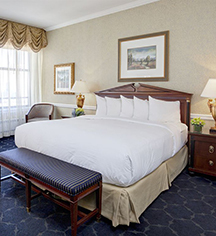 Affording distinguished comfort, elegance, and amenities, Deluxe Guest Rooms at The Drake Hotel are furnished with a king-sized or two over-sized twin beds, office space, and an in-room sitting area. 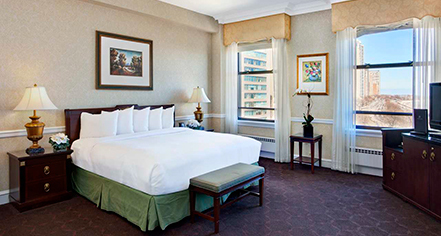 Guests can savor the vibrant Chicago scene from any Deluxe Guest Room. For spectacular views of the majestic Lake Michigan, reserve a Deluxe Lake View Room. These distinctively furnished accommodations are diligently designed to meet the need of every guest.